These axles are upgraded from the factory and have been tested to be able to withstand 300+whp. They are designed for the Base/Premium model ONLY and cannot be used with the Type-S model RSX. 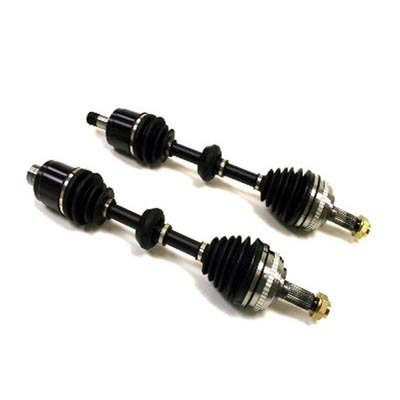 These axles are forged from heat treated steel alloy and upgraded hardened CV Joints. They also feature an OEM style vibrational dampener in the center of the shaft in order to decrease vibrations from the transmission upon hard launches which can cause premature wheel bearing failure.